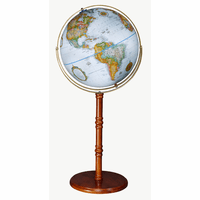 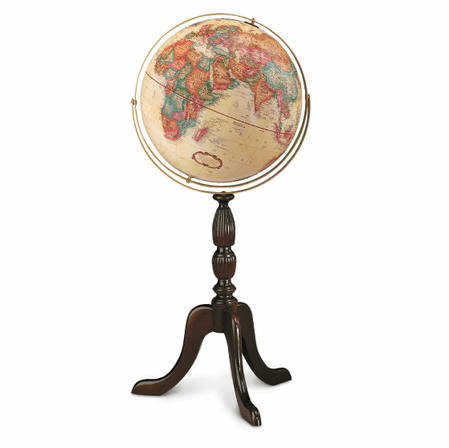 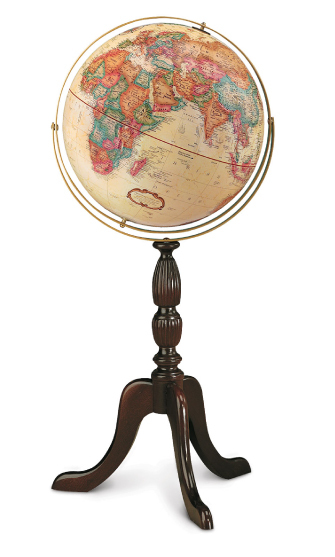 This stunning 16' ocean floor globe in antique white features every country worldwide with soft multi-colors. 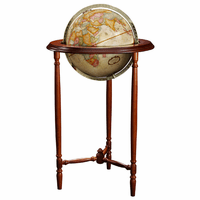 It is set in a gyromatic meridian around the circumference, and is attached to a central walnut-finished hardwood base with curved legs and carved accents. 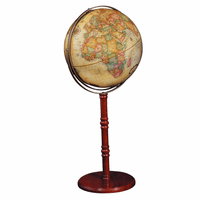 The total dimensions of the Cambridge globe are 18' x 16' x 38', creating a dynamic, fascinating focal point for office or home. 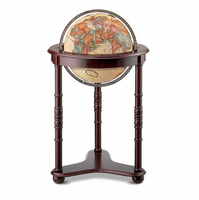 The globe is a wonderful gift idea for a frequent traveler, or for wedding, anniversary, or retirement.